While the Hawaiian Islands are perhaps most famous for our beautiful beaches, we offer a stunning array of group incentive activities that roam from sea level to 10,000′ in the sky! For a recent international sales group, we planned a Haleakala Volcano Crater visit (b-u-u-r-r-r, it’s cold up there!) followed by a warm picnic lunch aka gourmet bento box, at the Ocean Vodka organic farm with a private tour of the amazing facility. Temperatures regularly hover in the 40’s and 50’s up at the the top of Haleakala Crater. So the contrast of coming back down and basking in the sunshine with island-wide views makes both parts of this day’s activities feel even more special. The contrast is what offers such a dramatic experience! Maui offers many stunning farm tours. Being an island very much committed to sustainability, it’s possible here to learn about things most urban dwellers rarely or never experience. Plus, you can count on Maui to add our special extra twist, whether it is organic farming or growing exotic floral varietals or boasting a location with stunning views both close up and for hundreds of miles. Leave the beach! A diverse array of experiences await you all over each of our islands. While everyone loves the white sandy beach and the pool attendant, there is so much more to see and do here! Utilize your DMC and expose your guests to new and unexpected ideas or areas that they would not find on their own. Consider contrast. The Hawaiian Islands offer sea level to 12,000′ and temperatures from the 90’s to the teens on any given day. We also offer diverse experiences relating to sustainability, the natural environment, medicines ( both modern and natural). Dig in: Farm tours are one of many examples where you and your guests can interact with local culture in authentic, hands-on ways. while learning and having fun – Island Events can even make them into CSR or team building events for you! Know your guests: if there is a particular demographic of your guests tell your DMC about them and allow them the opportunity to develop an agenda that speaks to the interests of those guests. The Ocean Vodka farm was a hug hit with this group of international 40-somethings but might not have worked for a church group or college students! Ultimately you will be adding value to your guests stay by adding the unexpected and offering some interactive group experiences. Not Just Another Hawaiian Luau! We recently received a glowing letter from a valued client for whom we produced a five-day full incentive program on the island of Maui. 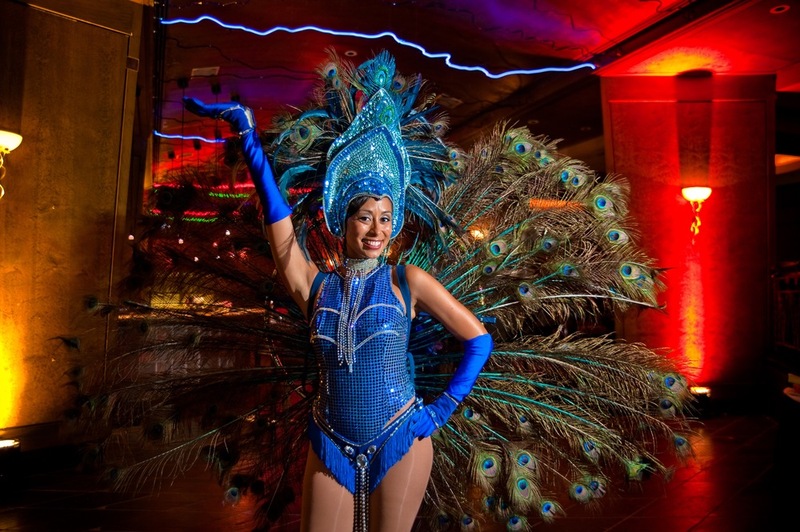 We managed their arrivals, departures, hospitality desk and activities – but it was the evening events that stole the show! The incentive program was actually a repeat Hawaii experience for many of the guests – but their first “Island Events Experience”. Because many guests were returning visitors, we wanted to create island-inspired programs that spoke to the sense of place, yet were unique and created “a first” for these well-traveled guests. 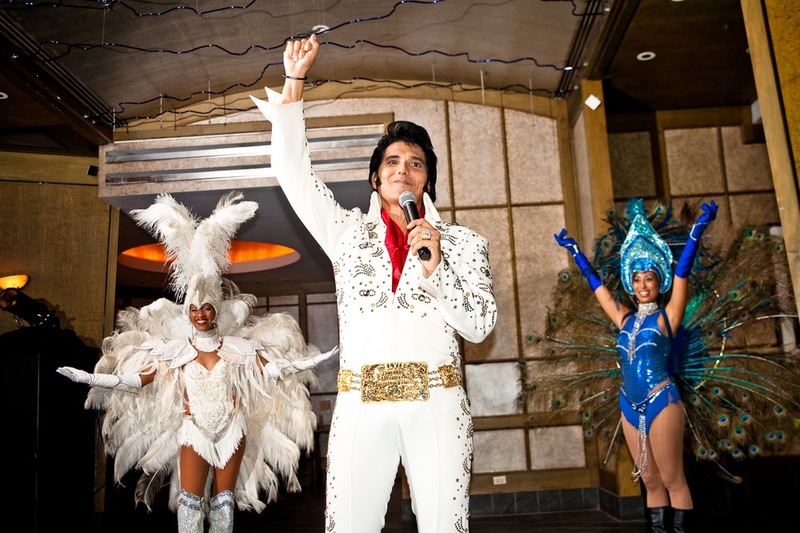 Our final night, a Vegas-inspired setting, was held at “Tsunami’s” night club (now defunct) and featured an Elvis Presley impersonator (circa 1966 in Blue Hawaii) with live show girls! This cultural crossover provided hours of light-hearted, entertaining fun and most definitely not your average luau!